Google loves backlinks, backlinks show the relevance of a webpage to the internet. The more backlinks a web page has, the more relevant Google thinks it to be and the higher it ranks. But there is more to this statement; Google will give more preference to a web page with high quality backlinks to one with millions of low quality backlinks. Some sites like Tumblr, Google+ and LinkedIn are respected by Google, and so getting a dofollow backlink from such sites will mean a lot for your webpage. But the problem is that most of these sites know this and have made all their external links nofollow. I have found a way to obtain a dofollow backlinks from such sites and I want to share it with you here. Google will definitely take your site/blog more seriously if you can obtain a dofollow backlinks from Google+, LinkedIn and Tumblr. So lets get started and see how we can obtain a dofollow backlinks from such sites. First download and install a Firefox plugin called ‘Nofollow” here. What this plugin does is to highlight links in a page according to nofollow/dofollow status. Restart your Firefox, right click on your mouse to reveal dofollow and nofollow links, while grey-ash color is dofollow, pink-colored links are nofollow. Now I am going to discuss how you can get a dofollow backlinks from each social network separately. Visit Google Plus and sign in to your account, click on ‘Profile’ and choose ‘edit profile’, scroll down towards the end of the page until you see ‘Links’. Use the “add custom link” to deep-link to your site/blog. Use a post page and use the post’s keyword as your anchor text. Just like I did with ‘LinkedIn Profile URL’ in the image above and save your profile. Now right click on your mouse to confirm this link is a dofollow. Visit LinkedIn and sign in to your account, and click on ‘edit profile’, scroll to the section that says ‘Additional Information’ and click the tiny edit button by its side. Under the section ‘Websites’ there are three places to enter your website details, you can use one to link to your homepage, but I recommend you use the other to deep-link to your blog, so link to your blog’s inner page with a post URL and use your keyword as an anchor text as we did above. See image below for illustration. Then save changes and right click on your mouse, choose the nofollow option to confirm this link is a dofollow just like the one above. I am hoping you already have a tumblr account, else sign up for one immediately. Sign in to your tumblr account, you can check with your nofollow plugin to confirm that all external links are nofollow but we will get a dofollow backlink by the time we are done with this tutorial. Click on settings on your dashboard, right below your tumblr blog URL you will notice a check box ‘Use a custom domain name’ simply check it and enter your site/blog address and test your domain to confirm. Then click on the save button to save. 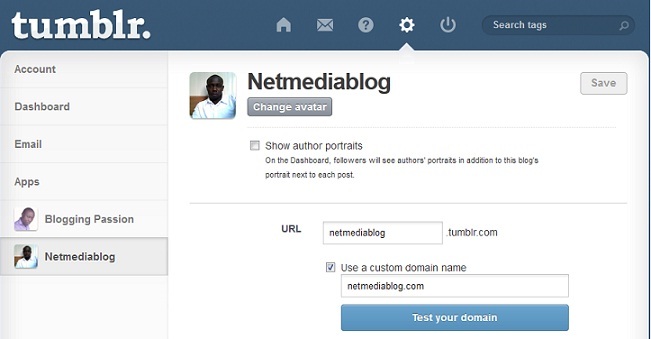 Go to you dashboard and verify if the link is not a dofollow pointing to your blog. 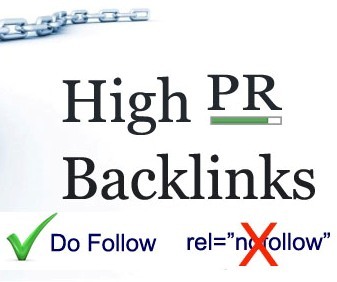 This way you have obtained a dofollow high quality backlink to your blog. Now you have successfully been able to obtain high quality dofollow backlinks from Google+, LinkedIn and Tumblr. I hope you find this article interesting enough to share with your friends. Remember to subscribe to my RSS feeds by entering your email on the subscription box below and hitting the ‘subscribe’ button. If you have any other methods of getting a one-way high quality backlinks for free please share with me using the comment form below. I hope you have entered the raffle for a Norton 360 (2013) Plus 1year License for 1PC giveaway, if you have not simply click here to get started and stand a chance to win my first giveaway. Hey Nwosu! You gave these good tips but right click of mouse to confirm this link is a dofollow is not working here. Please solve this problem. The sites must be in English language for this plugin to work….where exactly are you having difficulties so i can narrow your solution easily? Thanks for the info Nwosu. Just updated our linkedin and google+ pages using your tips. Definitely Google and other search engines will recognize your high quality dofollow link and will rank your site higher. Great Post mate :] Thanks for sharing with us . Pls is it every post i shared on google plus or linkedin is going to have do follow links or only that one above only..
All you need is just one dofollow backlink. Even if all your posts have a dofollow backlink Google will count them all as one. So one is quite enough. thank you so much for this! i just started doing this a week and has been working great! thanks much!! I didn’t know that was possible to add a custom anchor for each link in Google+. This seems to be something new. Thanks for sharing! Hey, I have a problem creating a backlink in tumblr. It says “This subdomain’s CNAME is not pointing to Tumblr. It is currently set to “ghs.google.com”. Did you follow the instructions on this tutorial very well? I dont see any reasons why it should point to your blog. I have read many articles for SEO but this is article is really very helpful for me to get real do follow backlinks from top sites. Thanks a ton. Thanks for visiting my blog, i am glad you found the article interesting. This is very helpful. Getting a DoFollow backlink from these sites is of good value. I have added my blog link in the contributor part of Google+, but ignored the links section. I will definitely add a link to that section now. Glad you found the article interesting. Thanks for visiting…and always visit again. I am going to try that later in the evening today. 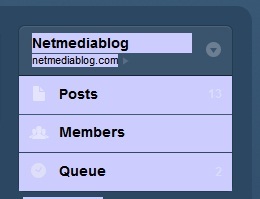 Thanks i am glad you found it interesting and Netmediablog is only dedicated to sharing quality content to improve our readers. I am glad you found the article informative. We have found this post useful. Thanks for sharing the tips with screen shots. All the best! I highly thank you for sharing us the nest experience !! What domain name where you trying to add? I think now Likedin are not support to input website in setting. thank you so much……….. it is really helpful to get do follow back links for our website Asistmi. The Tumblr Tips is not Working,Can you tell the linkedin tip is for premium user or not…??? Its for everyone, i am not a premium user. This is a great post. I have always wondered how the do follow links worked on these sites.